Lees Gardens are back for the year with the first fresh flowers! Lovely little lettuces, delicious salad mixes, duck and hen’s eggs and fresh flowers top the bill this Saturday! 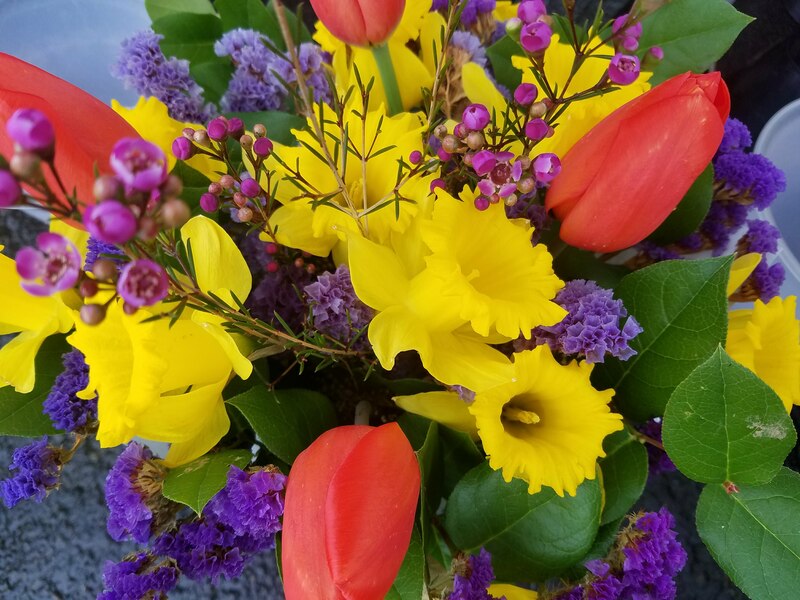 Plus we’ll have goodies like spinach and green garlic from Farm D’ICI and Brown Bottle Farm will have duck eggs in blue, white and grey, mix them up with Rj Farms multi-colored eggs and you have REAL Easter eggs! Cloth produce bags are back in stock too ($1 suggested donation). 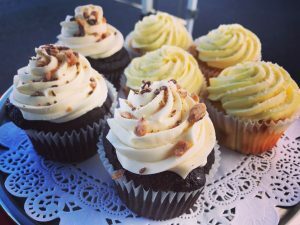 Delice Confections are now doing sweet little cupcakes and this week Rachel will be bringing back honey lavender macarons! Drink Local with your Easter meals! 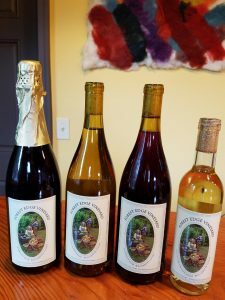 Forest Edge Vineyards will have several choices: For brunch a lovely Sparkling Rose, copper colored, tastes of raspberry and chocolate, slightly sweet with delicate bubbles. For dinner a full bodied smooth Chardonnay with tastes of vanilla, pineapple and caramel or Pinot Noir, fruity raspberry and cherry tastes with hint of pepper. And dessert in a glass: Sucre Chardonnay, a sweet finish of tropical fruit flavors. Plus ALL their grapes are grown without using chemicals in synch with nature. Townsend Distillery and Trail Distilling are both back this week so you can get your cocktails on! 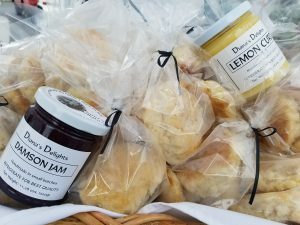 Diana’s Delights will have scones and Rugulach pastries, both can be frozen and warmed up for next weekends festivities, and don’t forget her heavenly Lemon Curd! 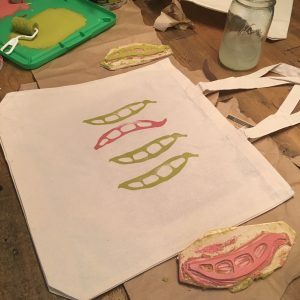 Hillstomp Farm have been busy making hand-stamped shopping bags and will have fabric cut-outs that kids can stamp and take home as a patch for clothing or backpacks! My Copper Heart is back with jewelry made from recyled metals, especially copper. 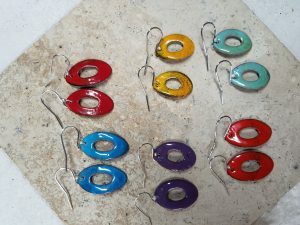 Christine will have new earrings made from washers that have been heated, stretched and enameled with a torch.